Since SiDiary can also be used in a network, it is for example possible, that the meters will already be read at the front-desk. Every computer in the same network can display the data, allowing a quick overview of the measured values. 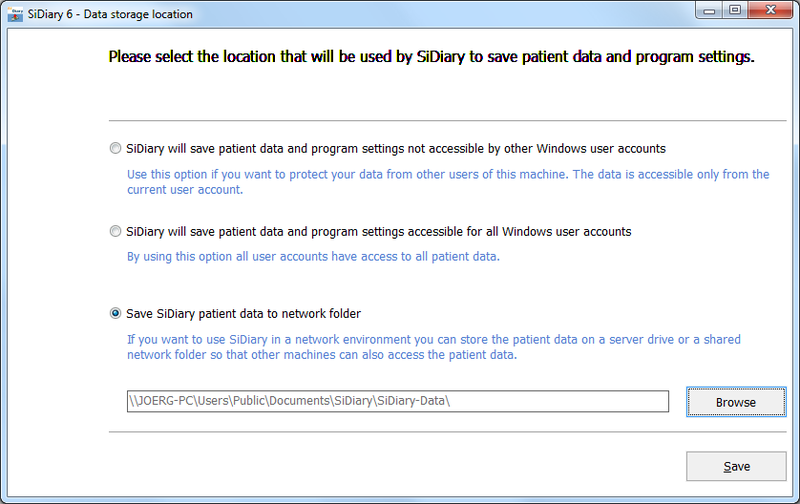 In addition, patients who are using SiDiary at home can send you their logbook data very easy by e-mail. A simple double-click on the file attachment imports the data into your SiDiary. By the way: When you read a meter SiDiary reads also the serial number of the device. If the serial number is once known in the system, the program will automatically detect which patient is assigned to the serial number. To use SiDiary in your network, you simply need to install it on every computer in your network and register it with your transaction number. 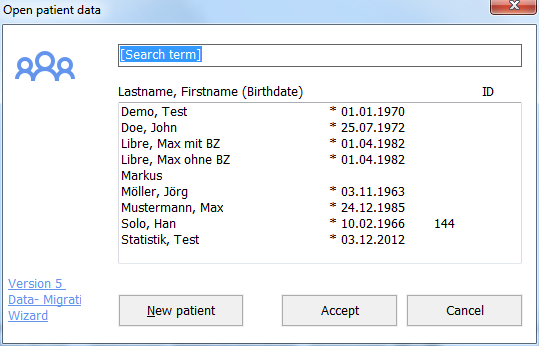 Then you can select in the menu 'Tools --> Data storage location', in which of your shared folder in the network the patient data should be stored. The stored data can be viewed on any computer in the network and it's also easy to integrate the stored data in your backup strategy.